When Bujing the orangutan was just a tiny baby, his world was shattered into pieces. Poachers killed his mother right in front of him and took Bujing into captivity, with the intention of selling him into the pet trade. The poachers quickly found buyers — an Indonesian couple, who claimed to “love animals,” bought Bujing for 500,000 rupiahs (about $35 USD). At first, the couple doted on Bujing as if he were a human baby, bathing him and feeding him milk. But when Bujing got bigger, he became unmanageable — and the couple ended up chaining him to the outside of their house. Once Bujing was outside, his owners no longer gave him regular meals, and Bujing starting escaping to steal food from the neighbors. After one excursion to the neighbor’s house, Bujing returned with two deep wounds on his back, which looked to have been caused by a sharp object. In 2014, Bujing’s miserable life finally took a turn for the better. 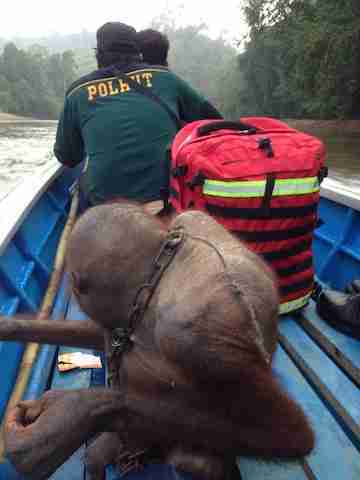 Officials from the local forestry department and a team from IAR learned about the 5-year-old male orangutan and rushed to his aid. They couldn’t have gotten there a moment sooner. If help hadn’t arrived, Bujing probably wouldn’t have lasted much longer. 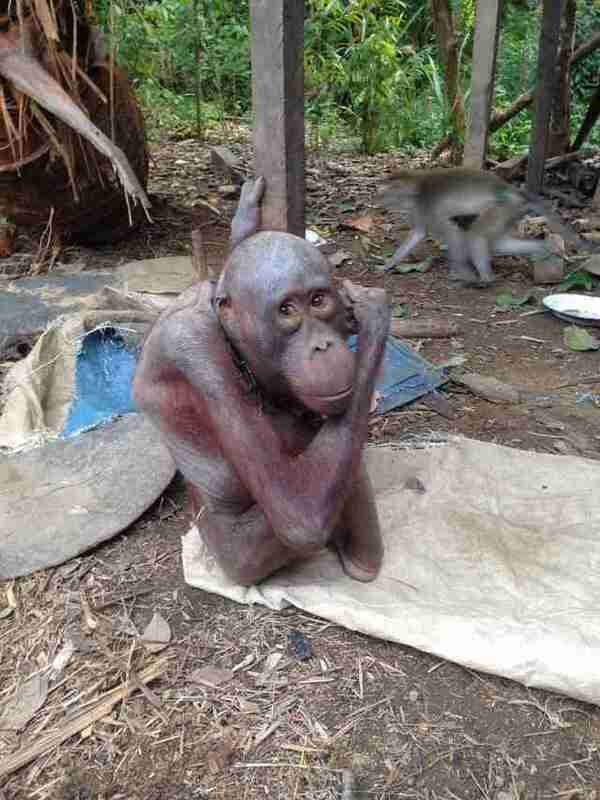 “Bujing was extremely malnourished and emaciated,” Lis Key, PR and communications manager for IAR, told The Dodo. “It’s hard to imagine that he could have survived for very much longer in that condition." “While we’re relieved to have removed him from his shocking situation, it’s upsetting to think of him living like that for so long,” Key added. The rescue team spoke with the owners, explaining the illegality of keeping Bujing as a pet, and the couple willingly surrendered Bujing to them. Then the team transported Bujing to IAR’s rehabilitation center. 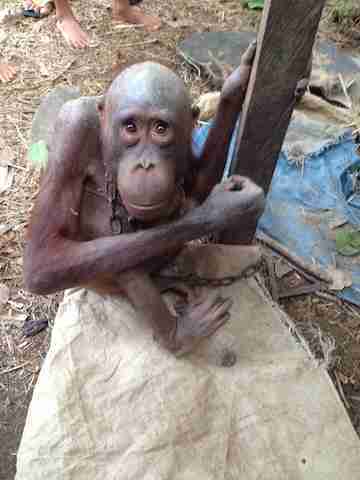 Once he’d safely arrived at the rehab center, the IAR team started helping him get better. 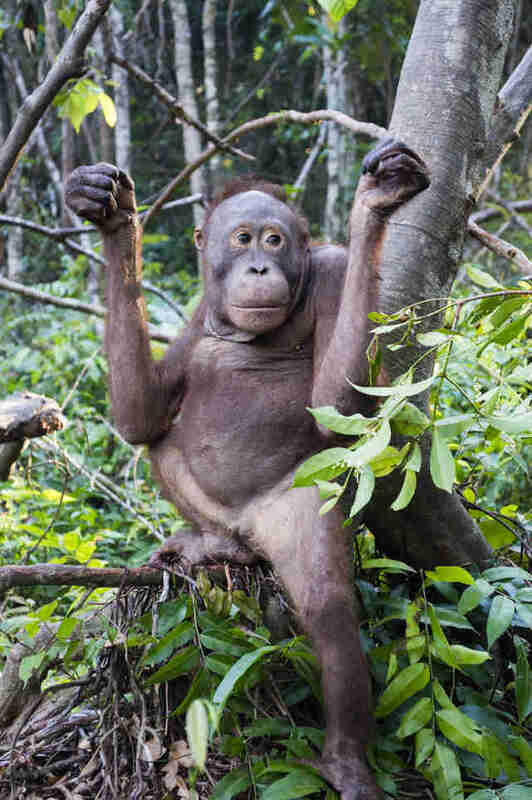 Four years later, Bujing has completely transformed into a confident, healthy orangutan. The IAR team plans to release Bujing back into the wild as soon as possible, but Bujing still needs to learn a few more things before he’s ready for this next step because he lived an unnatural life for so long, Key said. When Bujing does go back to the wild, everyone will celebrate. 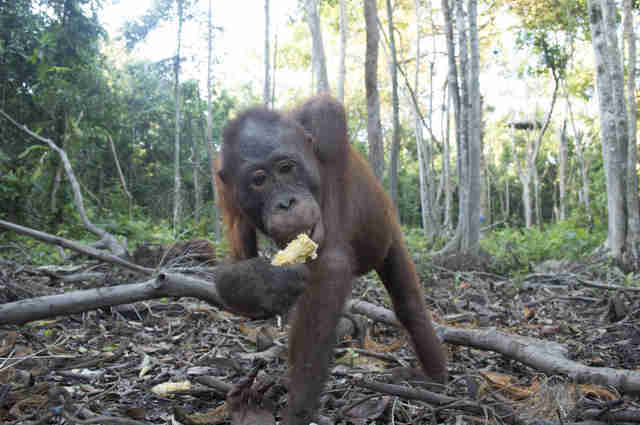 “Bujing is making excellent progress on his lengthy journey back to his rightful home in the rainforest, and it is really uplifting to see how well he is doing,” Key said. 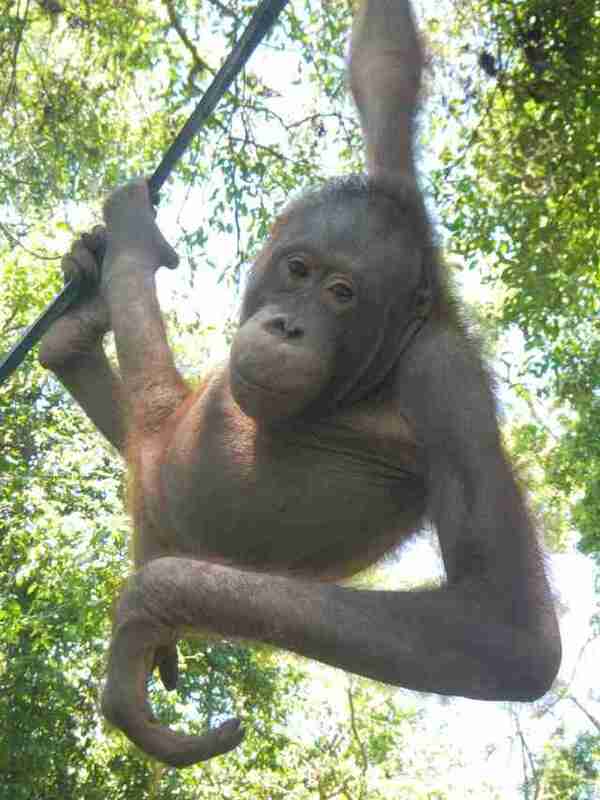 To help rescue other orangutans from the pet trade in Indonesia, you can make a donation to IAR.